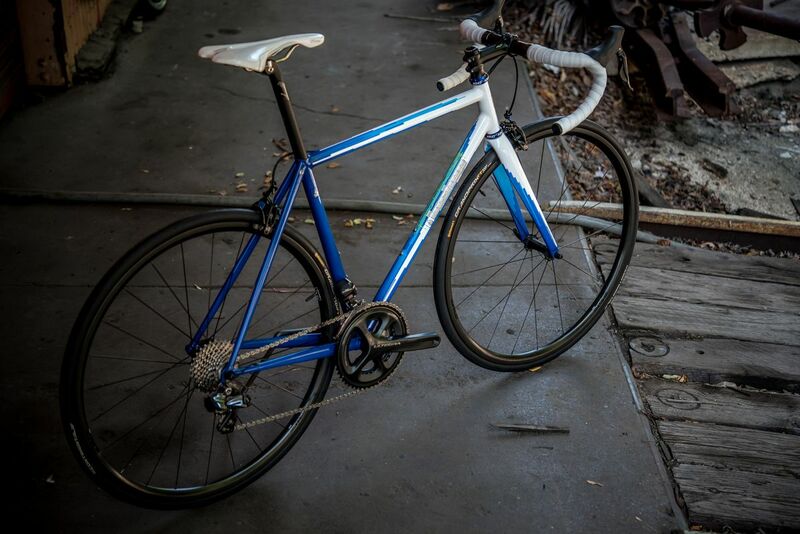 FOR SALE Di2 52.5 TT Bishop/ Ben falcon painted road bike. This is the second frame Ben painted for me using this paint scheme but a different color pallet; a nod to the Shimano 600 tricolor dark blue, light blue, and green. Ben nailed another amazing paint job. A mix of Columbus HSS, MAX, Nivacrom, and LIFE will make for a fast road machine that can take all the punishment you can give it. The new Shimano bar end A junction cleans up the wiring and keeps things really clean. Available complete, partial, or frameset. Contact me for more info.